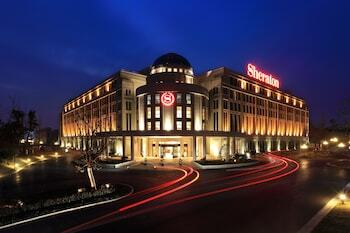 A stay at Sheraton Jiangyin Hotel places you in the heart of Wuxi, within a 15-minute walk of Jiangyin Jural Park and Jiangyin Sports Center. Featured amenities include complimentary wired Internet access, a business center, and complimentary newspapers in the lobby. Event facilities at this hotel consist of a conference center and a meeting room. Free self parking is available onsite.